As a toddler, my son started playing with (or next to) another kid at the playground and we called it a “friendship.” Now that he’s 6 and he’s starting to understand more about his place in the social landscape, things are getting a lot more complicated. It’s not easy to make friends. In fact, for many kids, it can be a daunting and sometimes scary challenge. I’ve come to understand as a mom that friendship really is a SKILL: making friends is a process that must be learned, practiced and honed. Like so many other things I thought were second nature before becoming a mother (who knew sleeping through the night was a learned skill?! ), making good friendships does not necessarily come naturally to young kids. The seemingly simplest things – knowing how to introduce yourself, ask questions, find commonality, show interest – are things we can’t assume they know how to do. 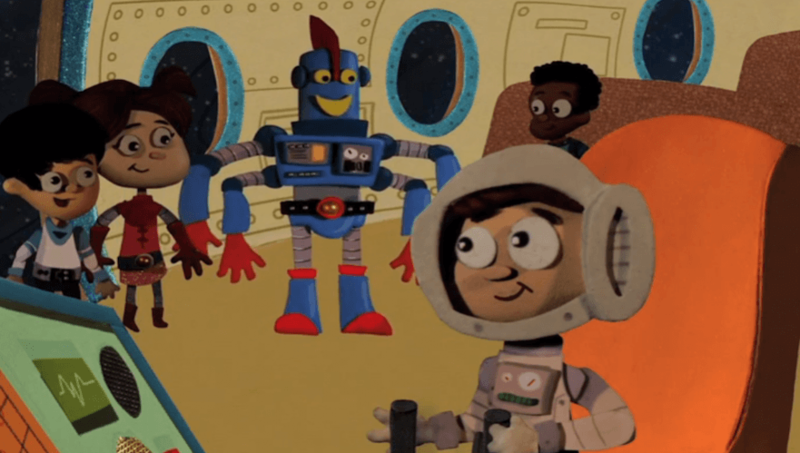 So we at TMC thought we’d offer a little help: we created a cute little outer space dude named Wattzon, who offers some helpful tips about making friends to kids as they join him on his spacecraft, “The Friend Ship” (wink wink.) With some really cool stop-motion animation and groovy 60’s space age tunes, this little segment focuses very simply on how to meet and make a friend at any age. (And I just can’t get enough of the furry band at the end…) Enjoy! “A Little Story About Friendship” – Why Are Friends Important?